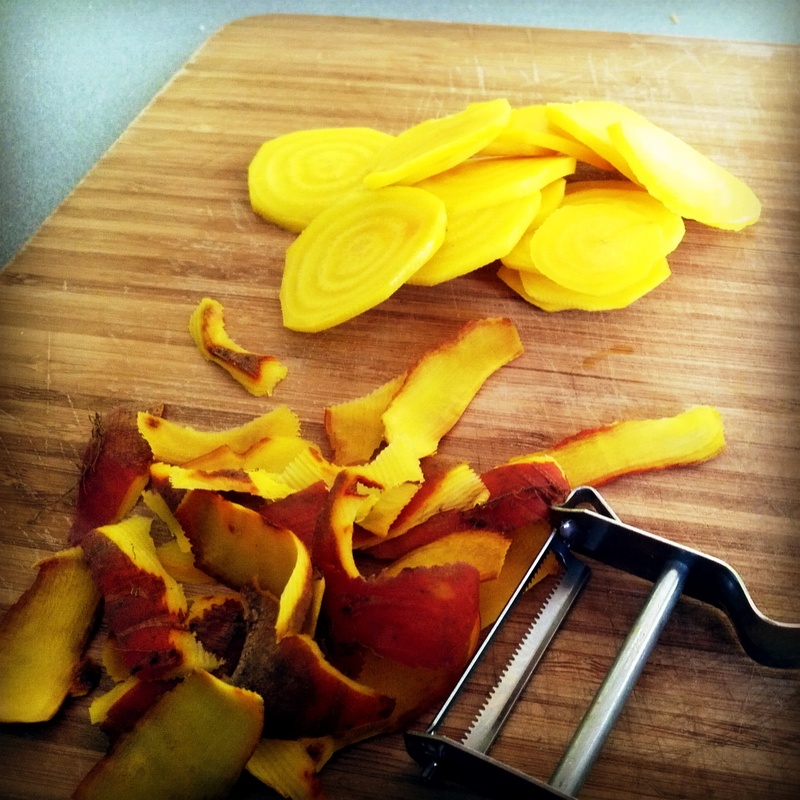 Golden beets are a little less sweet, more mellow and less earthy. 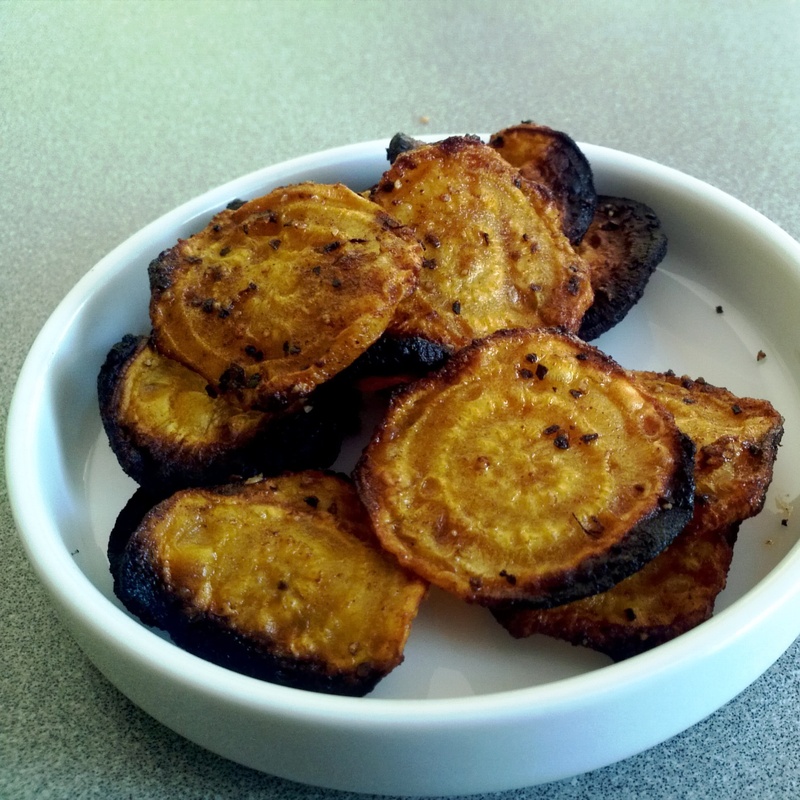 These chips were so easy to make and Delicious but you must keep an eye on them as they will burn very quickly!! 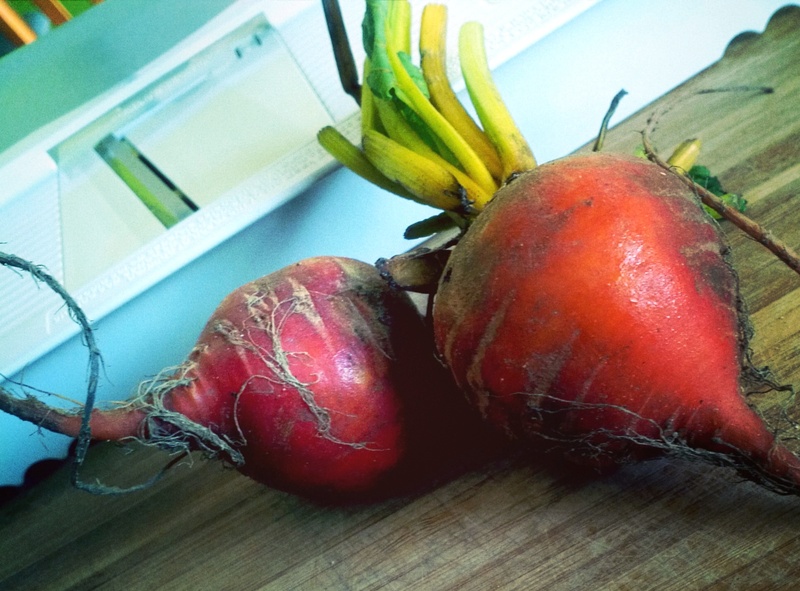 Peel and slice your beets, use a mandolin if you have one. 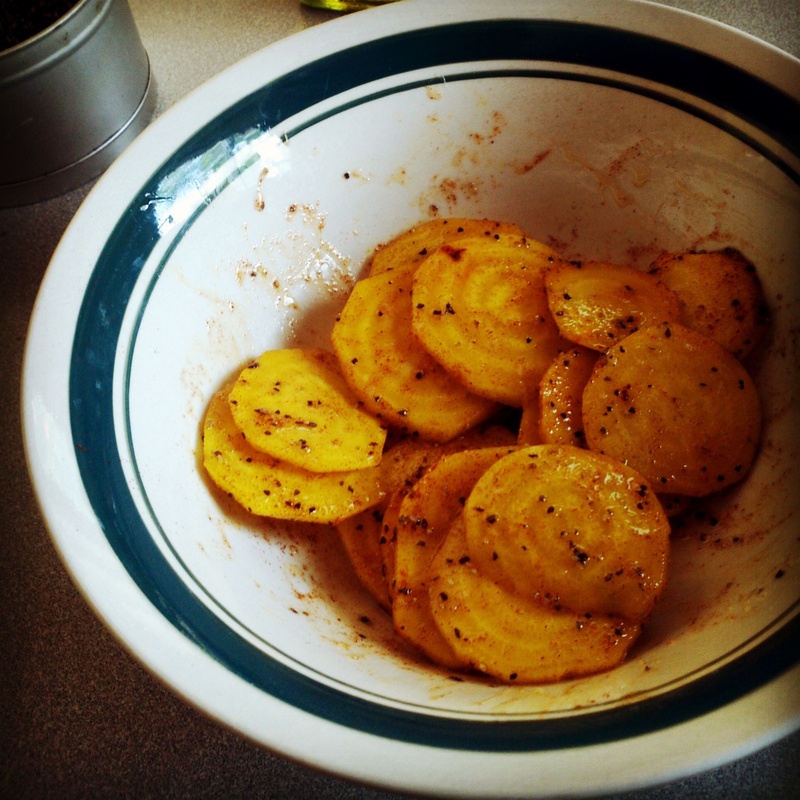 Place in a medium bowl, drizzle with olive oil, then sprinkle with salt, pepper and paprika. Toss to coat all the beet slices. Arrange on a baking sheet in single layer, bake at 375 degrees, after 15 minutes you need to flip them, check that small rounds are not burning. Continue to bake until they are crispy, about 15 minutes more. When I first made them I baked them at 400, I would go to 375 or even 350, flipping them at 15 minutes and continue to bake until crispy. ← Cinnamon Quick Bread…Two Ways!!! 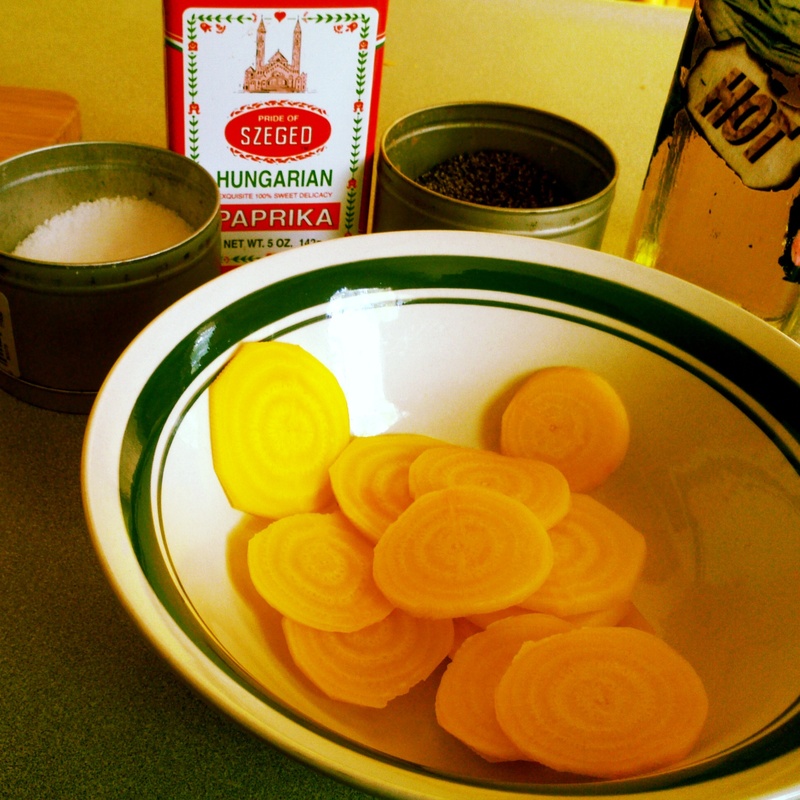 I love beets and especially golden. 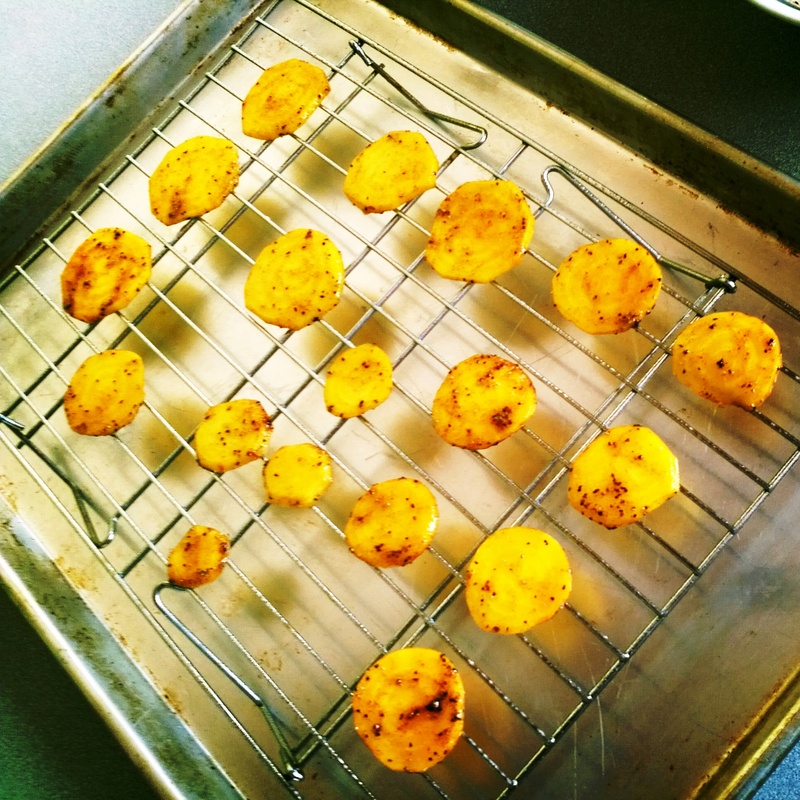 I love that you made baked chips from them. I will be giving this at try it sounds wonderful. Looks great. Unfortunately we didn’t plant beets this year. We really must remember them again next year. We had golden ones a couple years ago and liked them.